You say you've worn out your copies of Pearl Jam's Ten? Even the CD's got some dings in it? No worries - Pearl Jam have announced they're reissuing Ten, and in a big way too. Nearly eighteen years after its initial 27 August 27 1991 release, the revised package of Ten will come in four expanded editions. It will mark the first in a series of Pearl Jam reissues that will lead up to the band's 20th anniversary in 2011. Four different editions of Ten will be released on 24 March 24 2009, ranging from the double-disc Legendary Edition to the, ahem, 'jam'-packed Super Deluxe Version, which features 2 CDs, a DVD of the band's 1992 MTV Unplugged performance, four vinyl LPs and a replica cassette of the band's famed Momma-Son demo tape. In addition to the above, each set will containa remix of the album overseen by producer Brendan O'Brien, who has worked with the band on numerous albums. "The band loved the original mix of Ten, but were also interested in what it would sound like if I were to deconstruct and remix it," said O'Brien. "The original Ten sound is what millions of people bought, dug and loved, so I was initially hesitant to mess around with that. After years of persistent nudging from the band, I was able to wrap my head around the idea of offering it as a companion piece to the original - giving a fresh take on it, a more direct sound." 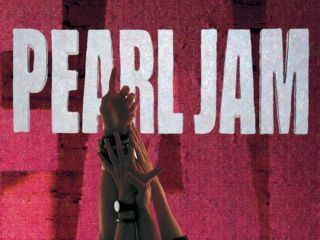 Pearl Jam bassist Jeff Ament describes the experience of going through old boxes of tapes and re-visiting their demo with singer Eddie Vedder: "I think the first time that Ed or I had opened any of those boxes was a few weeks ago. I knew that the original Momma-Son cassette was somewhere, but I hadn't listened to it in 17, 18, 19 years. "It was cool to sit down and play it for the first time with Ed and see his reaction. And to find that 90 percent of it stayed exactly the same as what ended up on the record. A lot of elements were identical. There was some energy flying around at that point even from 1,300 miles away from Seattle to San Diego." You pre-order the Super Deluxe Edition of Ten now and find out additional information on all reissues here.